Months before a pregnant woman’s water breaks and uterine muscles contract, she wrestles against emotional and physical stressors and various moods and urges. Suddenly, there are countless things to agonize about: Can I afford this baby? Is sushi really bad for me? I need to deep clean and baby-proof this house. That last recurring thought is also called nesting, an urge of a mother-to-be to scrub and organize every nook and cranny of her offspring’s future home to ensure safety. It was during this nesting phase that businesswoman Audrey Pastelero unconsciously started a brand that helps parents create fun spaces for their children. “Fun Nest began when I was pregnant with my son. I went on a crazy nesting mode fixing his nursery. One thing led to another, and now I have a brand where I sell creations inspired by my son,” says Pastelero. 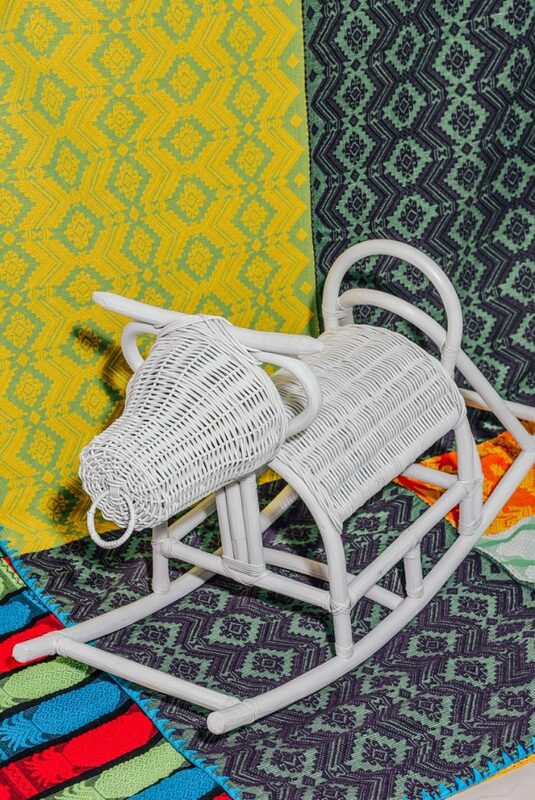 One of Fun Nest’s latest pieces is the Kalabaw Rocker, handmade from flexible heat-formed and -bent rattan at a workshop in Pangasinan by a local weaving community. One wickerwork of art takes about a day to complete. The idea came to Pastelero when she was watching craftsmen bend and weave the wood when she was having peacock chairs made. “[I also wanted] to teach my son about something closer to home,” she says, thus the carabao rocking toy. Kalabaw Rocker comes in small and medium sizes, and in colors brown, black, and white.